– Hon Jerry Alagboso of the Peoples Democratic Party (PDP) in the House of Representatives, on Sunday, advised Femi Gbajabiamila, House Majority Leader, that he cannot forcefully become their Speaker. Alagboso, who represents Orlu/Oru East/Orsu federal Constituency at the Federal House, spoke in Abuja, afyer the official declaration of Gbajabiamila, for the office of the Speaker of the 9th House of Representatives. 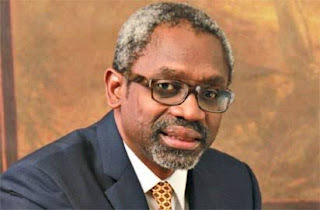 He had openly inferred that Gbajabiamila was arrogant in the manner he was seeking support of others for his ambition, seeing that he was the favourite of his party for the office. The lawmaker, who said that he was speaking for his party, the PDP, his people in the South East and South South and himself, said that the Speakership candidate of the APC, did not deem it fit to consult widely with the minority parties, especially the main opposition Peoples Democratic Party, believing that it was a done deal for him since he had the blessings of his party, the APC. The legislator said that it was advisable for Gbajabiamila to ignore the arrogance exhited by his party in this matter and dialogue, negotiate with the lelders in parliament all awmakers, and political parties, especially the PDP, as these are the only people capable of helping or scuttling his age-long dream of becoming a Speaker. Alagoso told Gbajabiamila that he was taking the PDP for granted by cassually calling its members on phone to seek their support without having to go down to the table to discuss with them. In his words: ”You have been calling on us on phone, but it is important that you meet with us. You cannot say because the man’s manhood is small then you can take his wife”, he warned, insisting that the PDP will still be very much relevant at all times in the affairs of the House of Representatives.